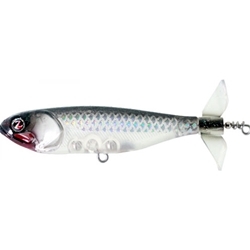 This bait is perfect for targeting aggressive bass in around spawning pan fish. The soft plastic prop moves a lot of water and creates a big wake. Pair that with the cupped lipped and the bubble trail and the spitting, bubbling action is irresistible to big bass.